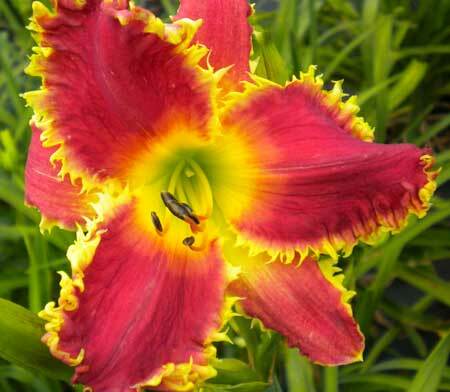 This entry was posted in Daylily Hybridizing, Introductions, Seedlings and tagged daylily, daylily blog, mike holmes, teeth. Bookmark the permalink. Two others that come to mind are Larry’s Obsession and Mary Lena. Great toothy parents. Also Iwanna Piranha has to be in the conversation. I grow all three daylilies in my northeastern Ohio garden.